It’s no longer a woman’s world where only ladies are carving out hours for self-indulgence—now the lads understand the pleasure of being primped and groomed. With the re-emergence of the gentleman, we’ve witnessed a renewed appreciation for traditional barbering services and an explosion of dedicated barbershops catering for the next generation of style-conscious men. 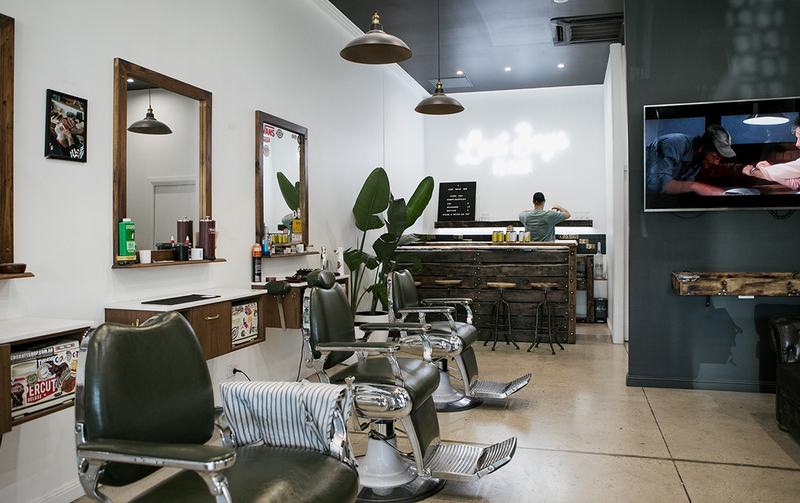 From vintage shops to contemporary and minimalist salons, here are eight of the Gold Coast’s best barbershops where you can head in and walk out looking like the best version of yourself. Jase Alpen not only rocks the most luscious mane in town, but he’s also the proud owner of one of the most respected Gold Coast barbershops. Based in the Mermaid Beach nook neighbouring Lupo and Glenelg Public House, Zeppelin.B is seriously cool and has earned itself a dedicated following of loyal clients—who return again and again for friendly banter and fashion style cuts with attention to precision scissor work, texture and slicing. Recently recognised as a top five finalist for Best Barber of the Year at the esteemed 2019 Australian Hair Industry Awards, if you’re on the hunt for an absolute standout among the best Gold Coast barbers, Jase and his crew are legends around these parts. Bookings required. 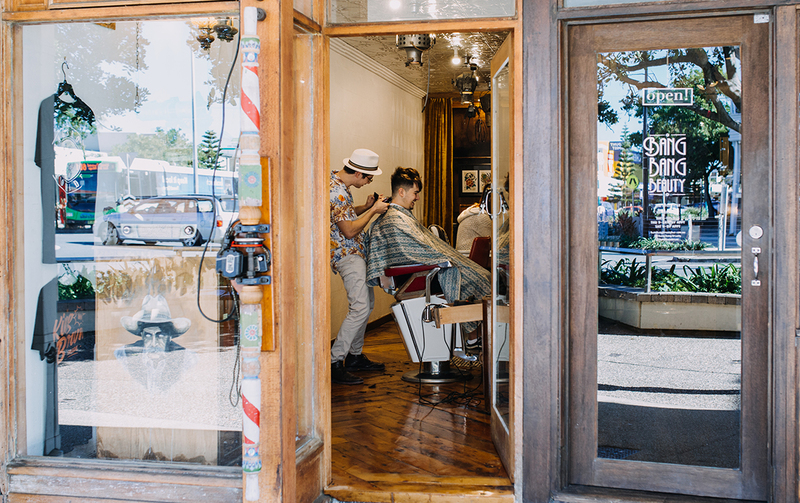 A favourite among Gold Coast locals, Barber Bros & Co. is the Coast’s largest and busiest barbershop. This stylish team of barbers is passionate about their trade, so it’s little wonder gents flock to this traditional full-service barber shop for beard-scaping, perfectly manicured moustaches, hot towel close razor shaves, expert hair styling and grooming products. We know you won’t knock back a complimentary Corona while you’re there either. In Broadbeach? 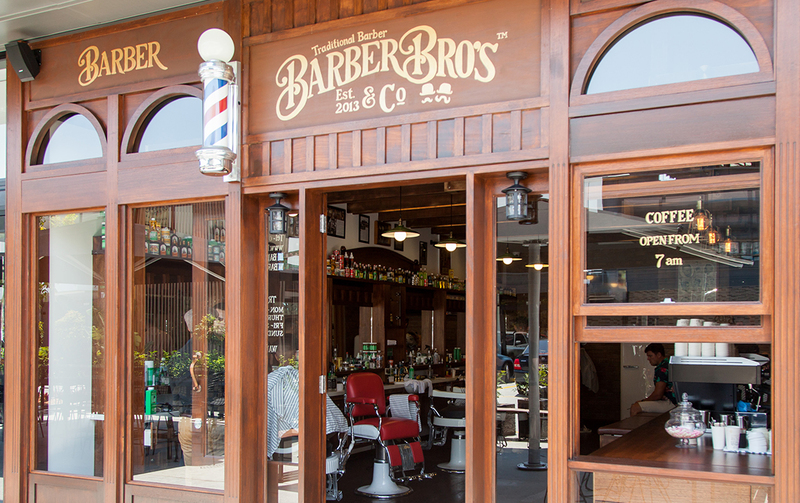 Barber Bros & Co. also has a shopfront on Oracle Boulevard. Walk-ins only. They say good things come in small packages, which stands true for Coolangatta hole-in-the-wall grooming den, The Barberoy. We love the vintage-inspired interior dressed with wallpaper, pressed metal and a gorgeous old wood floor; combined with classic full-service extras such as hot and cold towels, wave lather shaves, neck massage and ear flame singeing. And with just enough space for two clients at a time, you’re assured of some bro love and attention from owner and expert scissorhands Clem and his team. If you’re on the hunt for an intimate date with your barber, with one-on-one attention and bromance-worthy convo, another top shop among the best barbers on the Gold Coast is Palm Beach’s Shipwreck Barbers. You’ll love Shipwreck Barber’s man den atmosphere where you can sip on a beer while the cool gents get you looking your best with clean shaves and effortlessly classic cuts. When you’re done, stop next door to pair your fresh do with a slick new outfit from Pennant Surf Store, and you’ll walk away looking like a new man. Gents looking for fresh cuts and cool vibes on the northern end of the Coast should book in with The Lost Boys, located within the Ferry Road Brickworks Centre. The talented crew here will hook you up with slick fades and perfectly tailored beards, all in the comfort of their modern yet industrial-styled digs. The place has all the charm and class of an old school barbershop but with modern quirks, like a bottle of Stone & Wood to quench your thirst. The combination of a chilled out atmosphere and top-notch service means Lost Boys is a Gold Coast barber worth trusting your appearance with. Sometimes you can find gems in the most unsuspecting of locations, which rings true for a newcomer to the top Gold Coast barbers list, Backbone Barbershop. Tucked away in a retail complex in the humming Currumbin Industrial Estate, Backbone Barbershop is the first solo venture for UK transplant and barber extraordinaire, Sam Squires. If you remember Sam from Alfred’s barber or Edwards & Co in Coolangatta, and were wondering where he’d disappeared to, now you can book your seat for cutthroat shaves, fades, cuts and all the modern barbering services. Organised your slick new look thanks to one of the best barbers on the Gold Coast? You’ll be ready to hit the Gold Coast’s hottest best bars next.